This is being created by various club members in N Gauge. 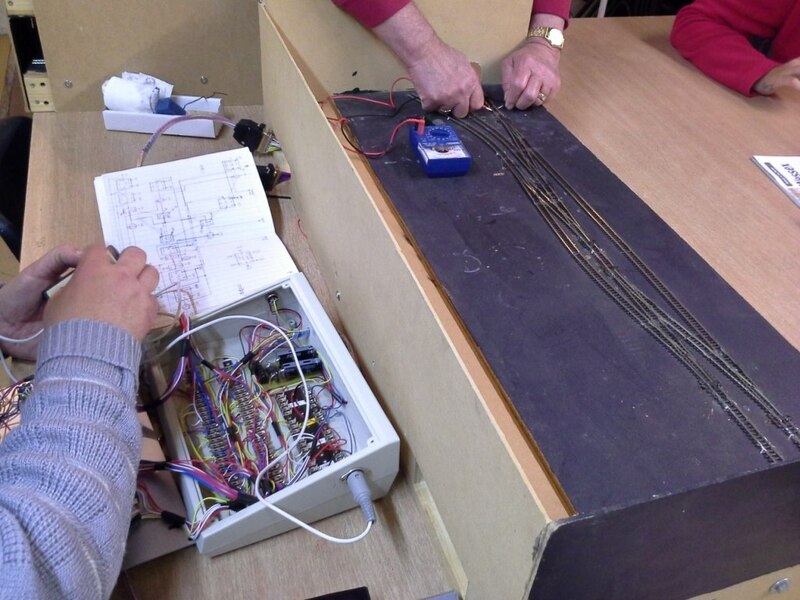 To date (February 2015), the design, track layout and wiring are complete. Final commissioning is taking place prior to scenery and detail being added. The names to be used will be in memory of various people who are sadly no longer with us and who inspired, donated equipment and/or assisted in this layout. It represents a fictional trading estate in the 1960s which was originally served by a canal, now defunct. This has been superseded by a single track branch line transporting goods to the private industrial sidings and a road service. Different locomotives, wagons and carriages can be seen transporting goods to and from the site and carrying people past the derelict platform to a new station off the site. It is hoped this arrangement will give plenty of shunting opportunities and appeal to everyone looking at it.